It’s that time of year when some anglers are starting to think about ice-fishing, but there are still a good number of anglers who are open water fishing. Regardless of how or where or when we fish, anglers want to catch fish. To do so, we need to figure out where the fish are, what they want to eat, and how they want to eat it. This is called establishing a pattern. You need to find an area that is holding fish, you need to put a bait in front of them, then you need to make the fish want to eat that bait. Once you find the fish, then determine what they want and how they want it, you will catch them. A fishing trip awhile back reminded me of the importance of establishing a pattern. Here’s what happened. A friend and I were fishing in central Minnesota for walleyes. Our sonar told us there were schools of walleyes in the eighteen to twenty two foot range. Fall walleyes during the day like to eat minnows on either live bait rigs or jigs. We had rods rigged with both. We had redtail chubs in one bait container, shiners in the other. Sometimes the fish show a very definite preference for one over the other. My friend started with a live-bait rig tipped with a redtail behind a Rock-Runner Bottom Bouncer. I started with a Fire-Ball jig and a shiner. Both of these presentations are outstanding for Fall walleyes or walleyes almost any time of the year. The author with a nice largemouth bass. 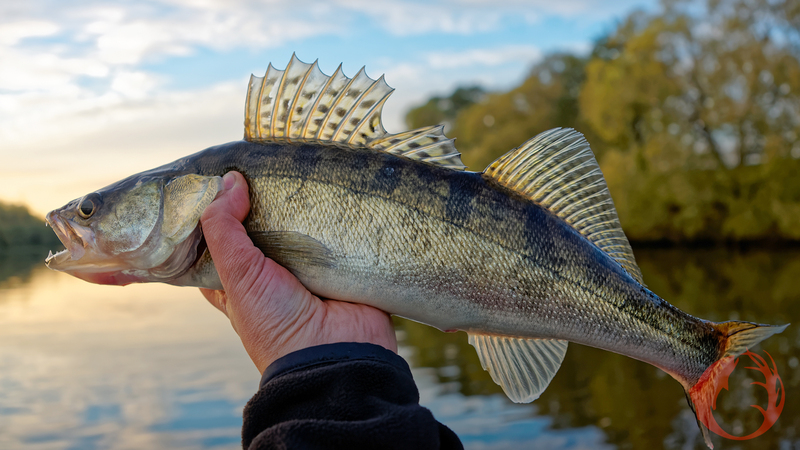 Establish a pattern and your catch of all types of fish will go up. My partner caught a nice walleye within about ten minutes on the rig and redtail. A couple of minutes later he caught another, and shortly after that one, he took another. I hadn’t been bit. For me, it takes three fish to switch baits. I switched to a rig and a shiner. We wanted to see if the fish were responding to the minnow or the presentation. My friend caught a couple more on the rig/redtail: I continued to not get bit. I switched again, this time back to the Fire-Ball, but I put a redtail on the jig. Bite on! I landed a nice walleye. I dropped another jig and redtail down there. Another bite, and another fish in the boat. It was apparent that the redtail was what the walleyes wanted. They wouldn’t bite on a jig/shiner or rig/shiner presentation, but if we put a redtail on either a jig or a rig, we got bit. The presentation wasn’t as important as the minnow we put on the presentation. Ice-fishing, same deal: Again, I remember a day on the ice in northeast South Dakota when the perch wanted a Buck-Shot Rattle Spoon tipped with a tiny Impulse plastic. Color didn’t matter, but the action imparted on the spoon was critical. We needed to shake the bait to get it to rattle, but then we needed to let it sit as still as possible just above the bottom. The rattle got their attention, but sometimes it took 15 or 20 seconds of the bait sitting still to get them to bite. We could see the fish on our Vexilar sonar watching the bait, then slowly moving in and softly inhaling it. An actively moved spoon caught nothing, a slow to no moving spoon put them on the ice. With the technology in sonar that we have today, we can get a pretty good idea if we’re over fish. When we’re on the fish, we need to establish the pattern that they’re most likely to respond to, and if we do that, we’re going to catch more fish.